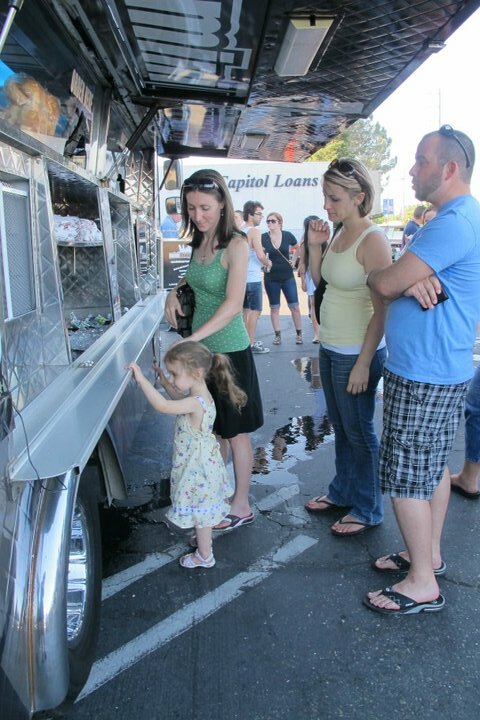 The first truck roundup put on by the Sacramento Food Truck Alliance was a great success. 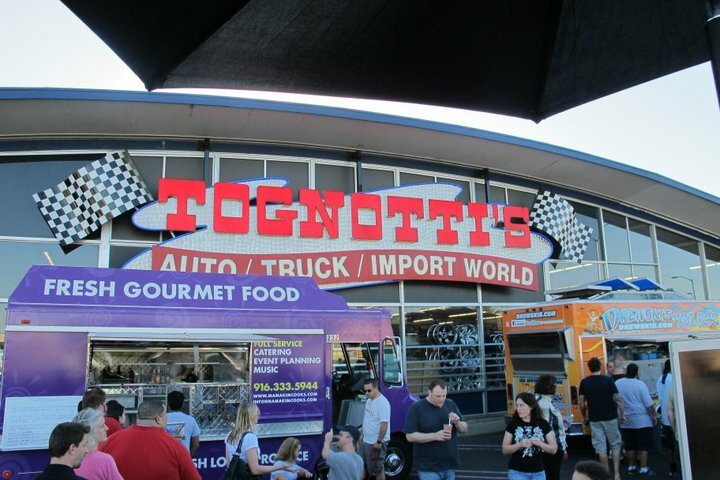 We should first thank Tognotti's Auto World for stepping in at the last minute to graciously host. 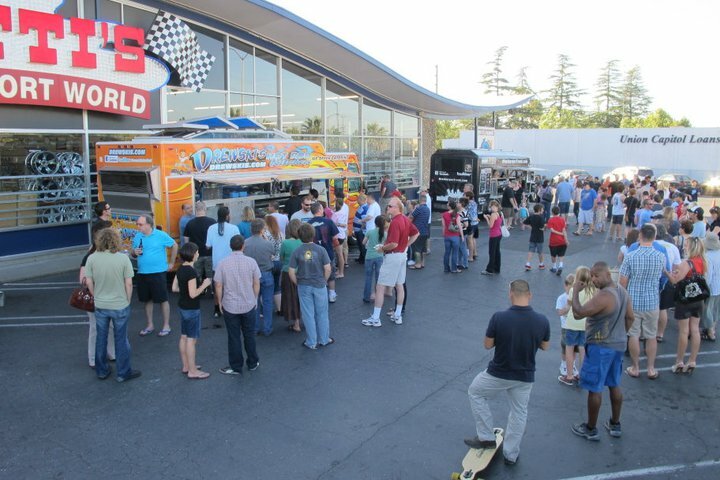 The location was great in that the store cast a large shadow to shade all the trucks and patrons in line. 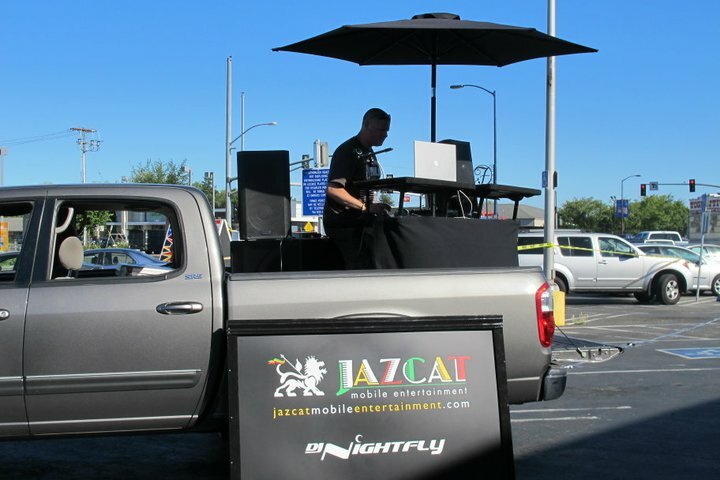 We were also (happily) crashed by Jazcat DJ to supply us with the same great tunes he played at April's SactoMoFo. 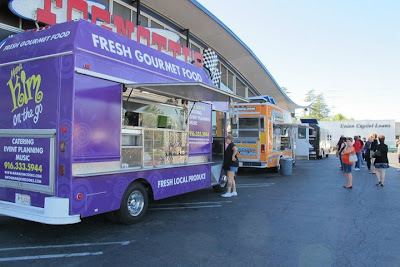 Once again this was an event that showcased the sense of community that is created by food trucks. We saw many families with children and plenty of dogs. 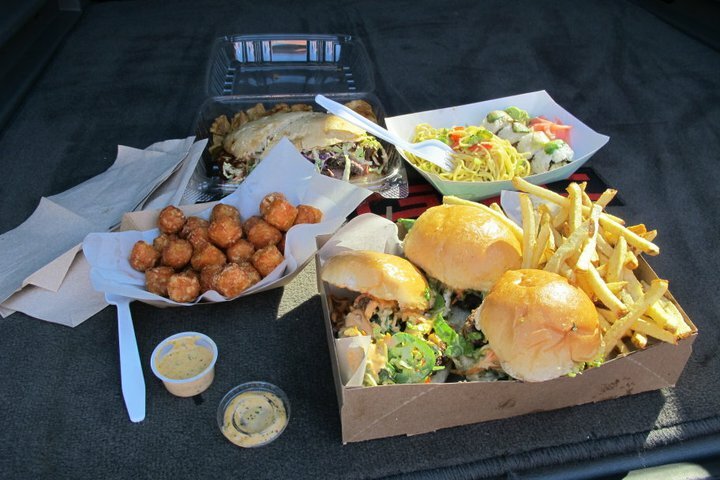 Waiting in line and then in a group waiting for your order, you talk to your neighbors and compare food finds. How often do you sit at a restaurant and start chatting with the strangers at the tables on either side of you? The crowd was manageable, with the longest wait being for Miniburger. It took about 30 mins to get to the order window and then another 15 to receive the food. Certainly much better than 3 hours experienced at SactoMoFo. Surely one of the factors that improved conditions was the trucks setting order limits so that people weren't ordering 10 burgers at a time. Mama Kim's ran out of food. Drewski ran out of propane (oops. They won't make that mistake again.) Miniburger ran out of certain items. 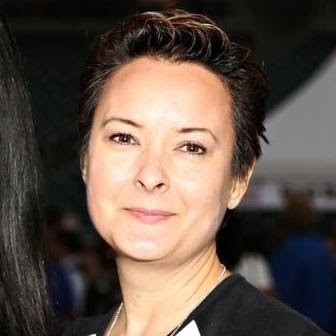 All in all, a good event for both patrons and the trucks. 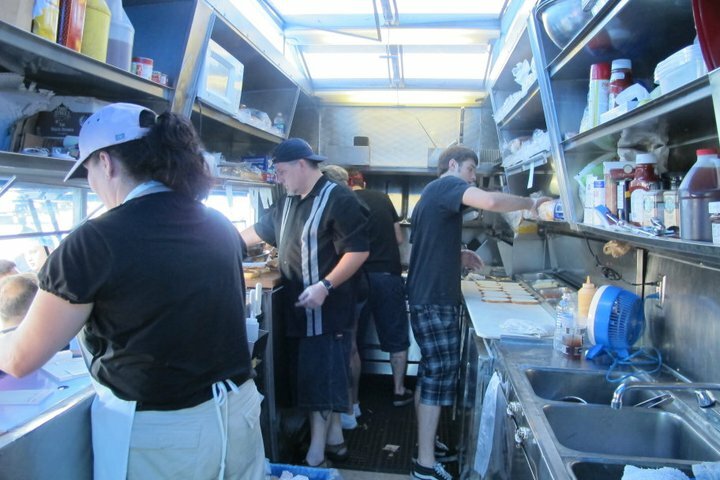 June 30th should be at Tognotti's again and then starting in July some other locations to spread the food truck love.